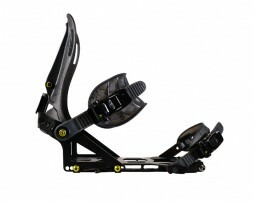 Categories: Spark Accessories, Spark Bindings. Tags: s, spark, split board binding, split boarding, splitboard, splitboarding, US made. 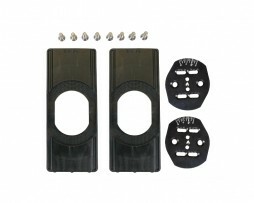 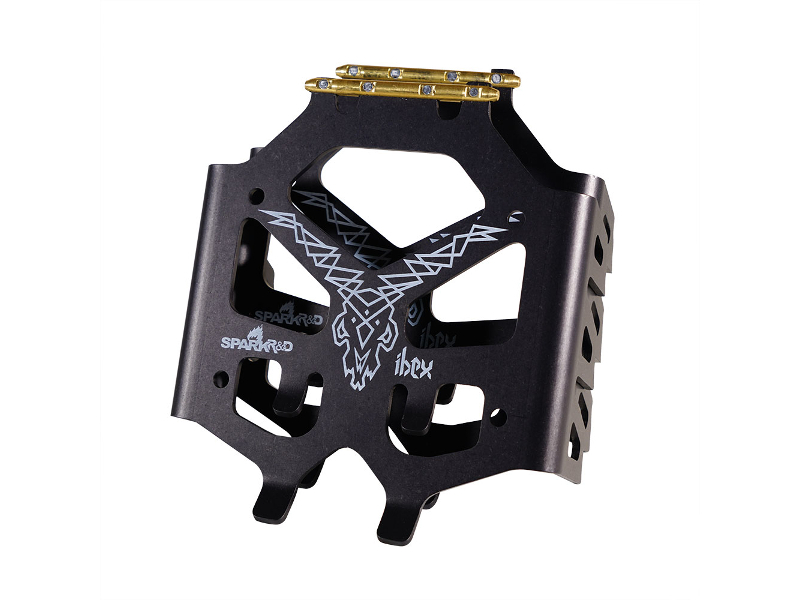 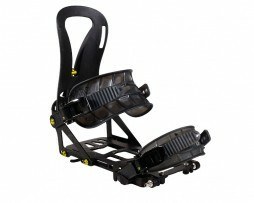 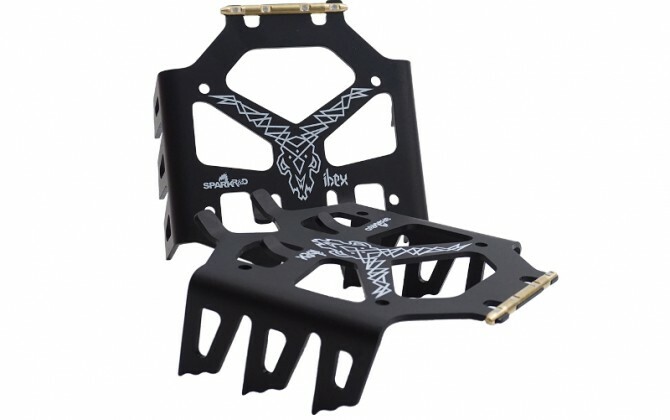 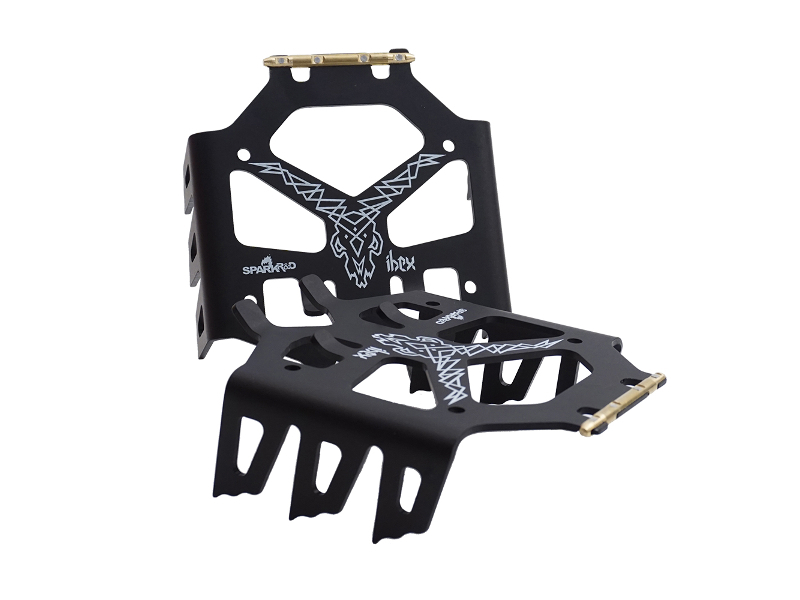 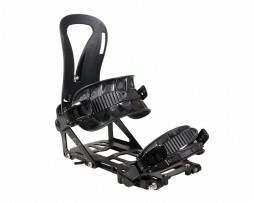 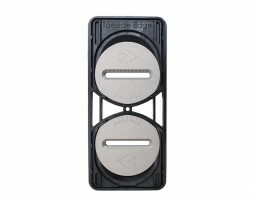 Ibex Crampons are 4WD for your splitboard. 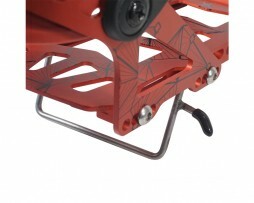 Lightweight aluminum construction for max strength and minimum weight. 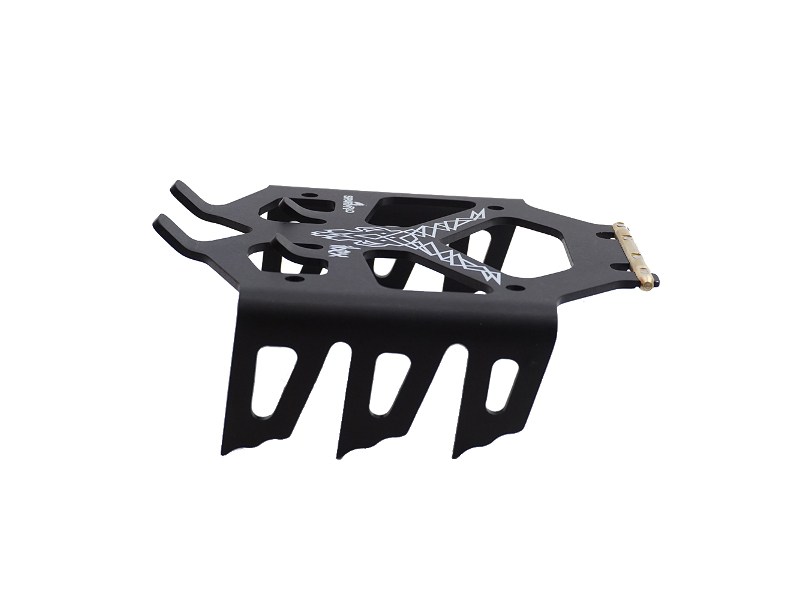 Installation and removal is effortless and can be done on the fly without unstrapping, by sliding the crampon sideways into and out of touring bracket claw mounts. 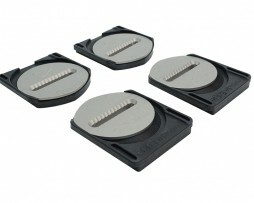 Teeth are fully engaged when used with or without the dual position climbing wire for maximum security on dicey terrain. 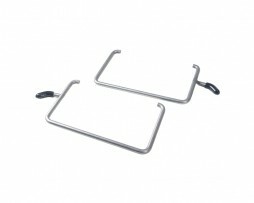 Narrow for boards with a waist of 25 or less. 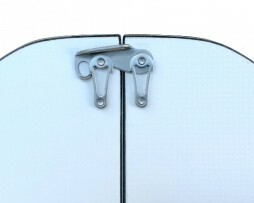 Wide for boards with a waist greater than 26.